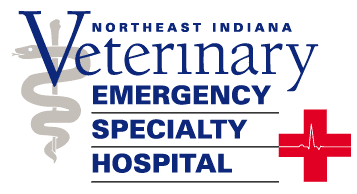 The Northeast Indiana Veterinary Emergency & Specialty Hospital (NIVES) has provided the highest level of specialized small animal health care to our community since 2004. We grew out of a well-established, AAHA certified, primary care clinic originally started on this location in 1967. Over the past 12 years, we have grown into one of the largest small animal emergency and specialty hospitals in the state. Our facility is a 14,000 sq. ft. state-of-the-art hospital with board-certified specialists in cardiology, internal medicine, rehabilitation therapy and small animal surgery. We also employ a committed team of doctors, dedicated solely to emergency and critical care. 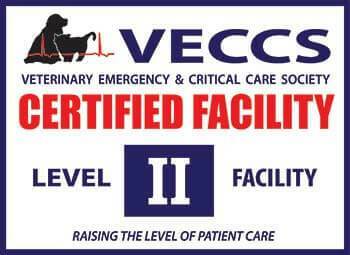 In 2015, NIVES became the only veterinary hospital in the state of Indiana to be certified as a Level II Critical Care Facility. Certification means we have the expertise, technology and trained staff needed to treat even the most life-threatening cases, 24-hours a day. Our advanced diagnostic capabilities, including digital radiography, ultrasonography, electrocardiography and computed tomography allows us to diagnose and treat these complicated medical conditions. Hospitalized patients are given round-the-clock care by our team of Doctors, Registered Veterinary Technicians, and Veterinary Assistants. Our compassionate experts are here to help you make the best care decisions for you and your pet. We work closely with your primary veterinarian to give you the assurance of 24-hour, expert emergency care. You can have peace of mind knowing that we are here in your time of need, 365 days a year.